Here is my newest background illustration for the comic. And yep, you guessed it. 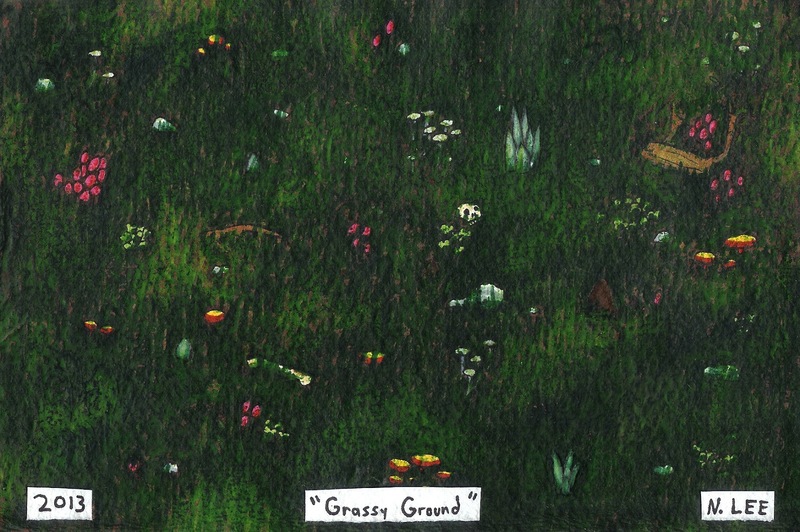 It's going to be used as the ground. It took me about 12 layers of pens and crayons to get it that detailed. Anyway, here are some of my old paintings that I found lying around. 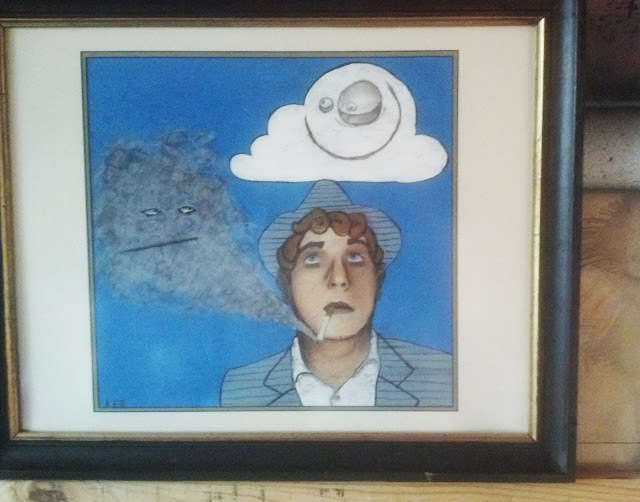 This is a self portrait called "Quit Stealin' My Thunder" that I made in 2007ish when I lived in Boone. It's acrylic, ink, and charcoal. I framed it myself when I worked as a framer for a little while. 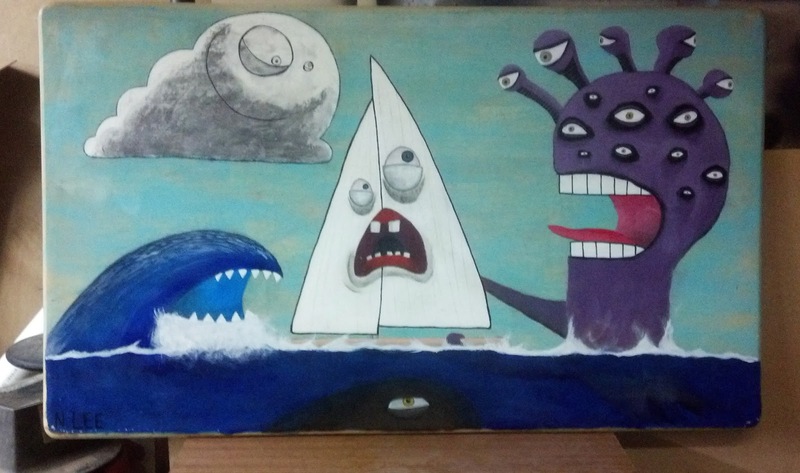 This massive tabletop painting is called "Sailing the Seas of Sexuality". It was finished in 2012 and is for sale. Email me with offers, if you are interested in it. It's mostly acrylic, colored pencil, ink, graphite, and charcoal. I like how acrylic washes look on wood. The texture is cool.